In my year of blogging, I've conducted about 10 interviews and brewed 7 batches of beer. These are my favorite posts because I learn a lot–from the industry folks I chat with to the different techniques I practice while making beer. So I've decided to combine the interviews and homebrewing into an ongoing series. 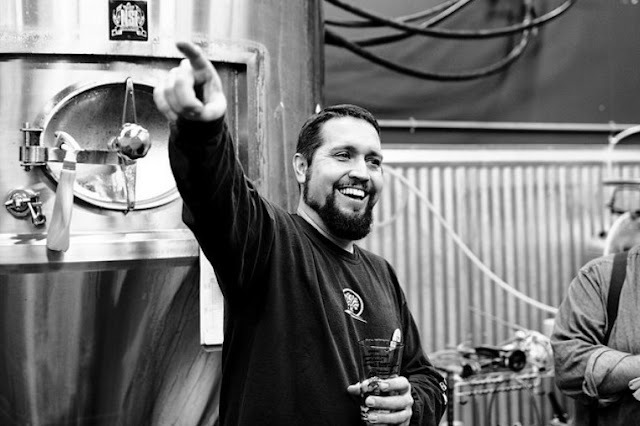 Matt Van Wyk has been the Brewmaster at Oakshire Brewing Co. (Eugene, Oregon) since 2009. Under his leadership, Oakshire has been brewing up some amazing beer! I met Matt earlier this spring at a media preview for Hellshire I and was honored when he recently agreed to be the first volunteer for this new series! Matt Van Wyk. Photo courtesy of Matt Wiater. How did you first get the craft beer bug? Matt Van Wyk: I visited a brewery in Iowa called Millstream when I was on a field trip in college. It was an "Applications of Science" course for teachers and it opened my eyes to the science of brewing. Then I got into homebrewing and visiting breweries during my first couple years of teaching science and from there I was hooked on better beer. You originally worked as a science teacher. Did teaching drive you to beer? What made you take the leap to brewing professionally? I had a passion for the science, but I also love cooking and creating (at least as far as food and beverage are concerned) and I started volunteering at a brewpub when I had summer breaks, spring breaks, winter breaks etc. I enjoyed it so much I decided to make a change. I thought it would be very temporary and would go back to the teaching profession. That was in 2001, and I haven't looked back. 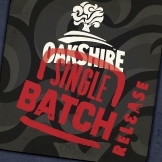 Oakshire produces a wide array of single batch brews. How do you create new beers? Do you have a process or do you just experiment? When a brewer understands their ingredients, and understands their brew system, it's just a matter of planning it out on paper and then experimenting. It isn't always perfectly how you planned it, but as you get more experienced you find out you hit the mark more often. I take the approach of a chef. Know how your ingredients work together to form the end product you have in mind. Did you have any beers that didn’t turn out as you had hoped, but still did well? We were experimenting with an Organic NW red ale for North American Organic Beer Festival in Portland. It took us 2-3 batches to figure it out, but just renamed the beers. One became a red IPA, another was just a red ale. Finally we nailed it and got the beer certified by the Oregon Tilth. The plan was to make it a year round beer, but that never materialized. Regardless, people really enjoyed all of our "experiments". You’ve been the humble maker of some pretty fine beers going back to your days at Flossmoor Station. Wooden Hell, earned an incredible an A+ score on BeerAdvocate. Does it have an interesting back story? It's funny the legend and lore behind Wooden Hell. We made a tiny bit of it for bottles, like 30-35 cases, but that gave it just enough volume for folks to trade it around the country. I guess it was well thought of and everyone wants it, but there was so little, it's rare. I suppose that has a lot to do with it's worth as well. The downside, is when I made our first bourbon barrel aged barleywine (Hellshire I) at Oakshire, they thought it would be identical. It wasn't and people were disappointed. How’s the new Hellshire series coming along? Can you give us a preview of what Hellshire II and III might have in store? Hellshire II is in the barrel and Hellshire III is in planning. II is a Imperial Stout aged in Bourbon barrels. It should be out sometime in Nov. We are aiming for Nov 12, but that is not firmed up yet. The first release was awesome. We had about 65 cases to sell on the dock, and that sold out in a day. the other 60 cases were split out to distributors and they sold out in less than a week or two. It went so well, we are trying to do twice as much for Hellshire II. My goal for Hellshire III is to recreate Heart Shaped Box, but crank up the ABV. Espresso Stout, Aged in Bourbon barrels with bing cherries, vanilla beans and cocoa nibs. I hope to release it Valentines day, but that might be tough to do. We'll see. Do you have favorite or least favorite styles to brew? I don't really. Whatever I am in the mood for or what ever I am eating affects my choices. I love lambics and flanders red ale. If I could create that flawlessly, I would be in heaven. What’s the least glamorous part of the Brewmaster job? Top Three. Cleaning. Cleaning. And more clearning. That's the main part of the job, and it is not fun. What advice do you have for novice homebrewers looking to improve their skills and make better beer? Practice makes perfect. Keep making beer to get better. I got lucky and only made about a dozen beers prior to getting a pro job, so I don't have a lot of homebrewing experience, but the more you brew, read, and learn, the better your beers will be. What’s next for you and Oakshire? Can you give your fans a look into the crystal ball? For me, I am working on our Brewers Reserve series, which will be mostly cork and caged wild beers. It is a chance for us to take our smallest volume barrels and bottle them in large format bottles and sell them off of our dock. For now, we don't have enough to distribute, but we hope to find more space soon and expand the program. The first beer, Skookumchuck Wild Ale will be out in November. It is the third of three Eugene Water and Electric Board's 100 year anniversary tribute beers. For the rest of the company, we likely and surprisingly, may run out of room in our 2009 expanded cellar by early 2013. We are in the planning stages of, What is next? If you haven't been down to see our growth, I invite anyone down on a Saturday for a tour. 1PM and 3PM. We are certainly cranking it out these days. You find yourself sitting next to some guy who’s enjoying a Bud. You've made it your mission to convert him. You can choose any two beers in the world to give him. What would they be? First, another Bud, because everyone likes a beer bought for them, and hey, there is no such thing as bad beer.There are just some that are much better than others. Secondly, I'd probably start with a craft pilsner. Baby steps, you know. I'm going to culinary school in Portland and had the pleasure of meeting Matt Van Wyk when he came to give us a tasting. The beers were great and the guys were as nice as could be. It was a real treat, definitely check out these guys they know what they're doing.